You'll be £11.99 closer to your next £10.00 credit when you purchase Voices from Stalingrad. What's this? 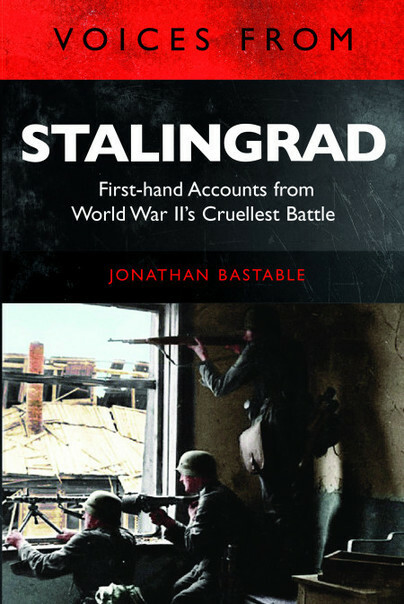 No previous work about Stalingrad places such emphasis on the experience of ordinary fighters and civilians. This volume of human history and military strategy includes fresh translations from original sources describing this pivotal event of World War II as told by the German and Soviet soldiers who fought the battle, Russian civilians who watched the enemy at the gates as well as Western diplomat and newspaper correspondent onlookers. Offering a record of one of the pivotal events of World War II, as told through the personal accounts of the German and Soviet soldiers who fought in it, this book features photographs from the Battle of Stalingrad, from both sides of the front. This is a fascinating record of the pivotal event of World War II, told through the personal accounts of the German and Soviet soldiers who fought it, the Russian civilians who watched the destruction of their city, and Western onlookers such as diplomats and newspaper correspondents. Many of these voices are gleaned from newly-discovered archive material, and from rare sources and reminiscences in Germany and Russia, including KGB sources. Many have never been published, or are totally unknown in the English-speaking world. All foreign voices are quoted in fresh and engaging new translations from the original sources. There are rare photographs of the battle, from both sides of the front. Jonathan Bastable began his career as a feature writer for the The Sunday Times Magazine, and spent several years as a correspondent in Moscow. His work has appeared in many newspapers and magazines, including The Sunday Times, The Scotsman, Wallpaper and Time Out. He has written on foreign destinations for Condé Nast Traveller and other magazines, and is the author of a number of books, including Voices From Stalingrad: Unique First-hand Accounts From World War II’s Cruellest Battle, Voices From the World of Samuel Pepys, Amazing & Extraordinary Facts: Prime Ministers and his first novel, Devil’s Acre: A Russian Novel.